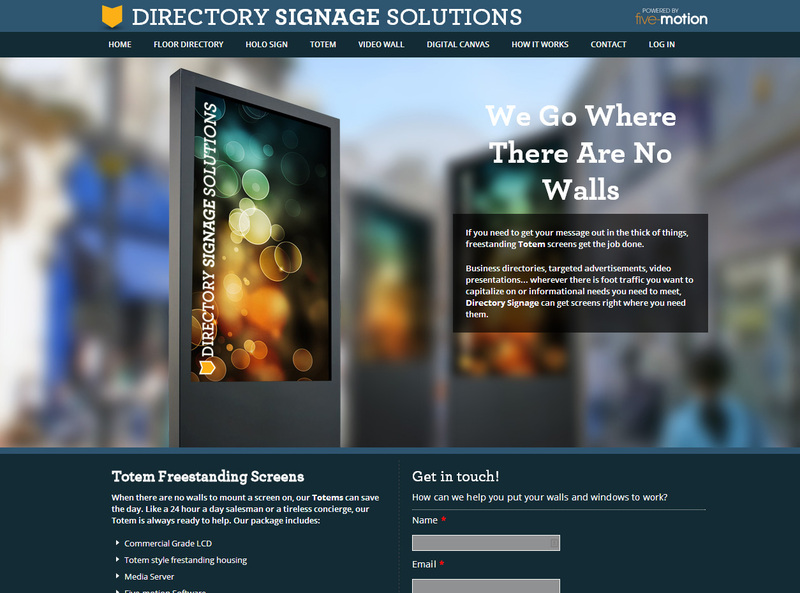 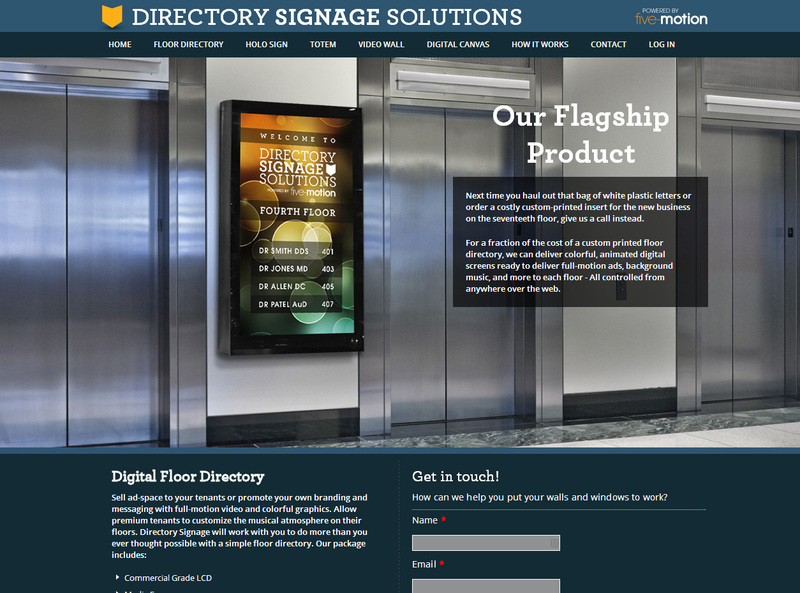 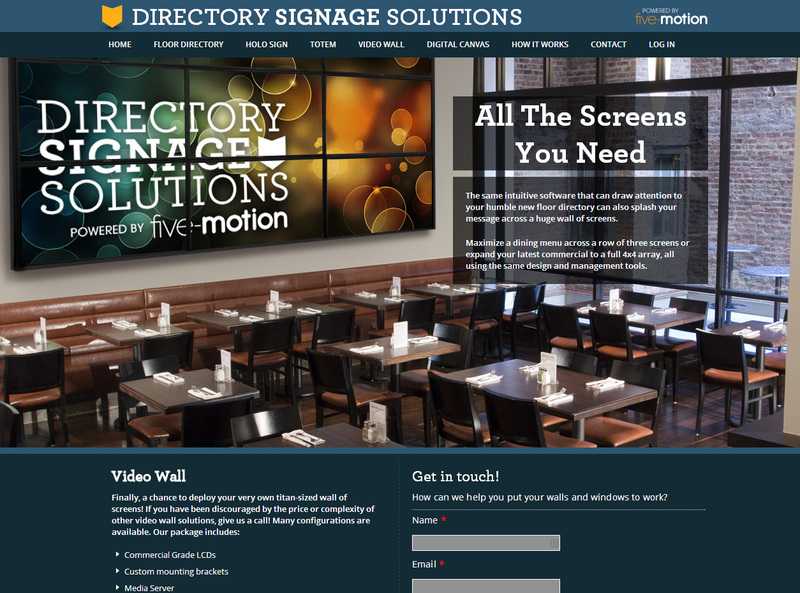 Using the same layout and framework of the Five-Motion website, I Photoshopped a variety of Directory Signage Solution product ideas and put together a site. 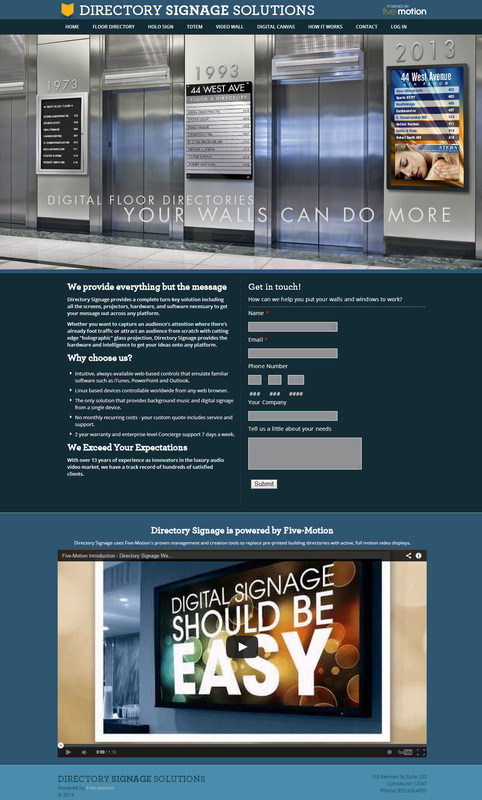 Because we’d only done one building when the site was built, content was a little thin. 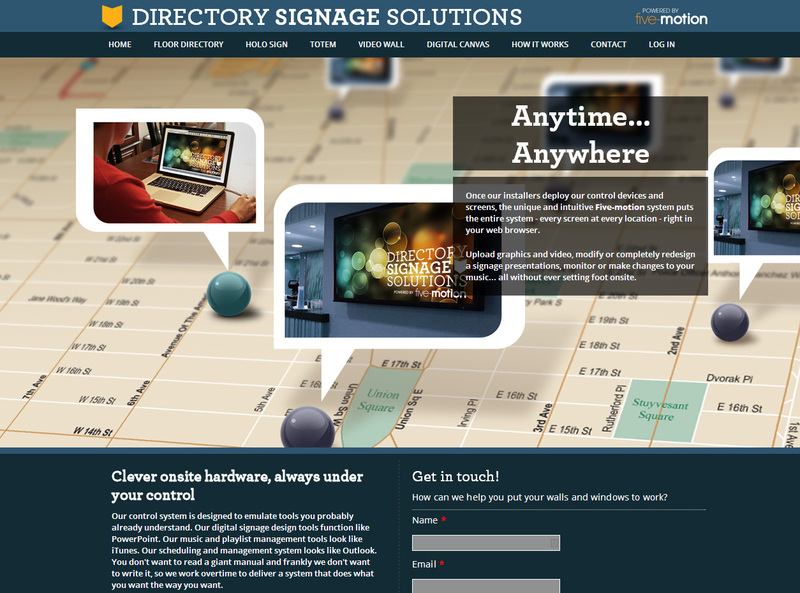 I was really feeling that GIGANTIC WIDESCREEN HERO graphic look, though, so I went a little wild with it.